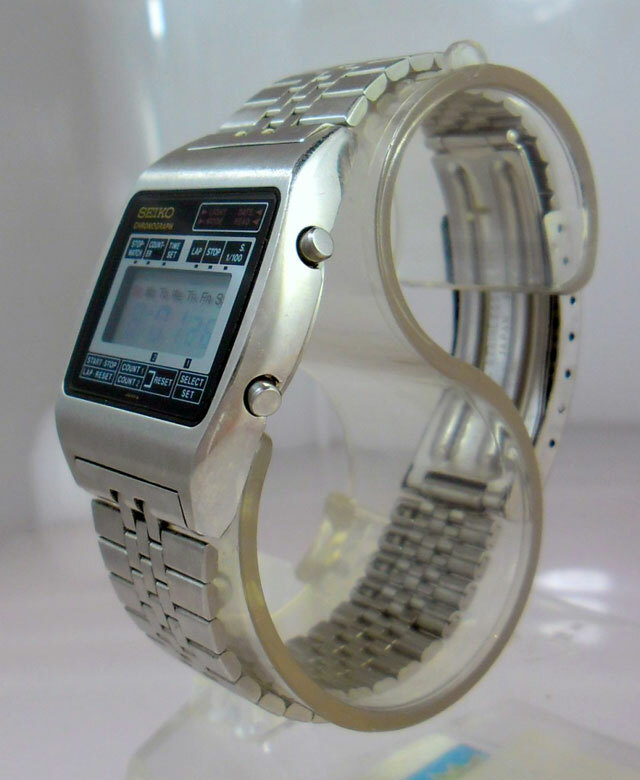 Lovely Seiko LCD watch here from the M-series. 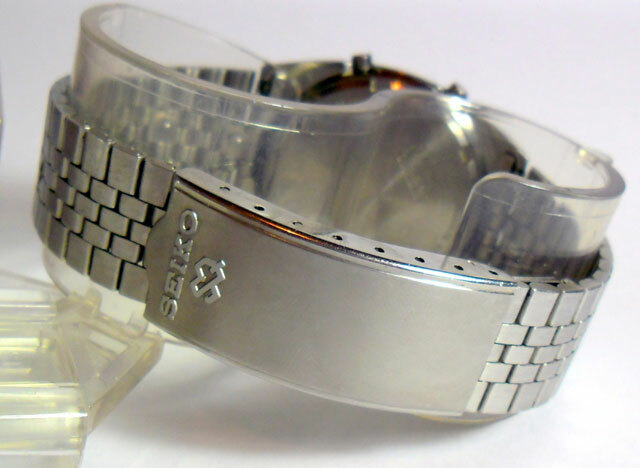 Lovely Seiko LCD watch here from the M-series. 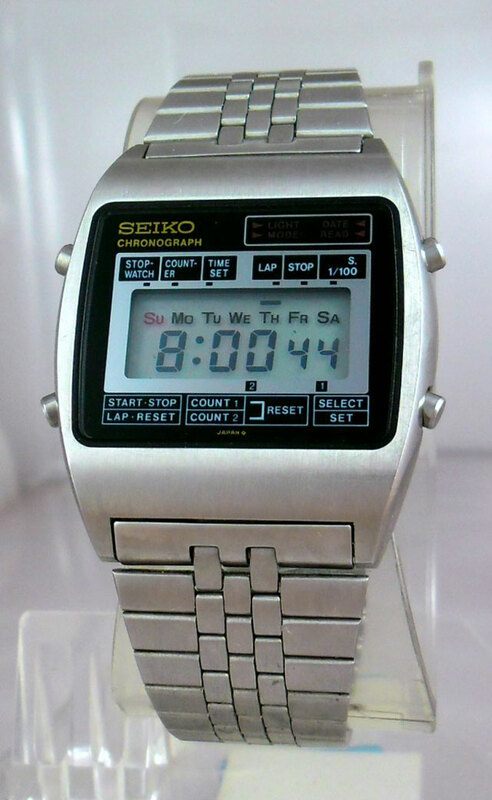 Not entirely sure what the model year is on this one – 1979 I think – maybe a Seiko nerd out there can let me know? 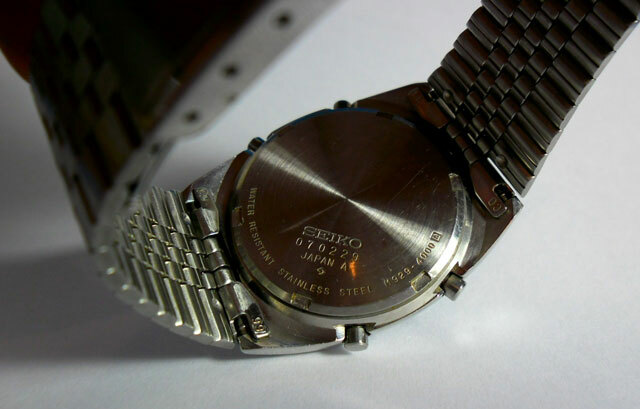 However, this is a glorious Seiko with lots of features. NOS stock. Flat face makes it unique, and the strap is to die for. 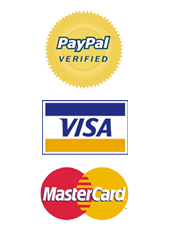 Just enjoy the photos!